Congratulations to Margaret O’Sullivan Cullen and Eugene Barrett who were married on Friday 29th December 2006. The Annual Mass and Senior Citizens’ party took place on Friday 14th December in the Aubane Community Centre recently and was well attended by the local people. The Celebrants at the Mass were Monsignor Michael Manning and Fr James Mc Sweeney helped by a group from the Millstreet Church Choir. 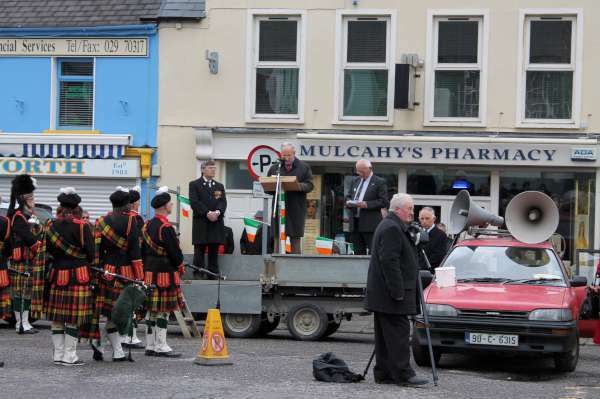 Following the mass, the party was held and patrons were entertained by a group from Ceomhaltas Ceoltoirí Eireann who played music and sang, and were joined by people from the crowd who gave renditions of their own songs. Many thanks to everyone that helped to make sure it was a thoroughly enjoyable night especially The Millstreet Choir, John A. O’Sullivan, Ceolthois Ceoltoiri Eireann and to all the Aubane Social members who helped out on the night. The Christmas morning tradition of walking up a Mushera mountain took place again on Christmas Day Morning. This year the Sponsorship Proceeds of the climb were in aid of The Courtmacsherry Lifeboats Fund and the purchase of a Defibrillator for the use of the Aubane Community and the Surrounding, which will be stored in the Aubane Community Centre in Aubane. At 10:30am the first group headed off from St John’s Well, while more were tackling the slightly easier route up along the wire by the Millstreet Country Park. It was a beautiful fresh morning, but we could see what lay ahead of us, the dense fog on top of the mountain. A small flock of sheep seemed the only other things moving. So after about an hour of moving uphill at our own pace, we got to the top at about 11:30. There was already a few dozen hardy souls plus a few dogs at the cross before us. By the time everyone had landed in the next half an hour, there was over One Hundred and Fifty or so cheerful souls on top. After a few photos’ and a good long chat, we we headed back for base, and the warmth of Christmas Dinner. A special word of Thanks to Sean Murphy who filmed the climb which was shown on LTV2 on Christmas Day Night and also Thanks to each and everyone of you who climbed the Mountain on the day. Well done to Fr. James McSweeney on the beautiful crib, which he erected near his home in Ballyvolane, Cork over the Christmas period. People admired it from near and far. This year the proceeds of the crib are going directly to the St Patrick’s Church Restoration Fund in Millstreet. I also invite you to check out www.todayismygifttoyou.ie. The website is checked out by thousands across the world each day. A new photo is updated each day with a short thought for the day. On Sunday 17th December Santa Claus visited all the boys and girls at the Aubane Community Centre. Santa arrived in great syle in a chauffeur driven Ford Cortina after his sleigh broke down just outside Aubane. It had been over Twenty years since Santa last came to the Aubane Community Centre and he received a warm reception from the crowd. He met all the children there and got notice of what they all wanted for Christmas! They all got a early gift from santa,and were asked to be good, and were delighted with themselves. There was also an bouncy castle and biscuits and teas for everyone. Thanks to all the people that helped and to our Club Member Jerry Kelleher who put the day together, and especially to Santa who took the time out of his amazing schedule to be with us for a few hours. Also Thanks to the local Businesses who sponsored the day – William Kelleher Kitchens, Sean Kelleher Electrical, Sean Barrett Electrical, John O’Sullivan Bouncing Castles, C&D Plastering Contractors and Tim Lehane Roofing Contractor. Congratulations to Seamus Buckley on his recent appointment as Prinicpal at Colaiste Treasa Secondary School in Kanturk. Congratulations to Billy Coleman on receiving the Hall of Fame Award 2006 at the Sports Personalities of the year Awards 2006 in Dublin which was show on RTE in December. 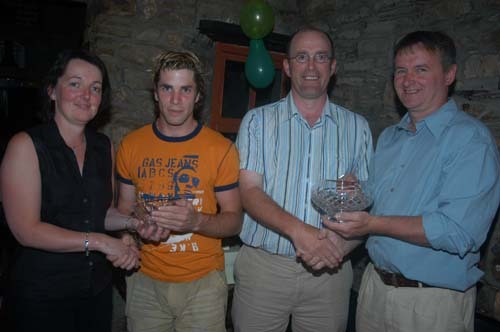 Billy received the award for being Irelands most successful rally driver ever. 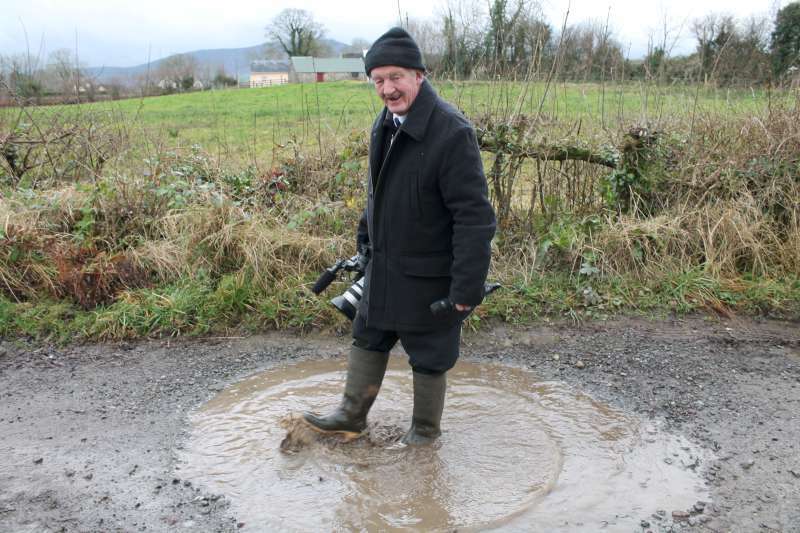 To people in the world of Rally Billy is know as the The Millstreet Maestro. The Butter Road, which was once used as the road to transport ferkins of Butter by horse and trap from Kerry to Cork and is now one of the most scenic roads in Ireland has now been Signposted. 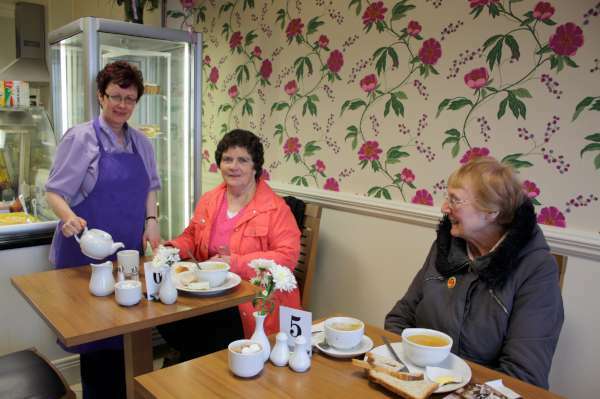 The Butter Road infact remains the shortest and most scenic route between Cork City, Blarney and Killarney. A special Thank you to Cork County Council for their contribution of Butter Road Signs, which are located at the bottom of Tullig Cross and at the Kerryman’s Table. Improvements done through the Urban Renewal Scheme. 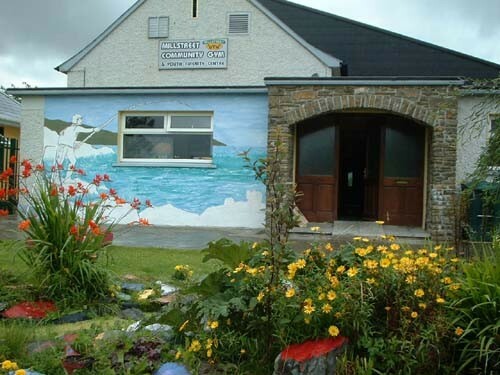 On behalf of the members of the Aubane Social Club I would like to take this opportunity to Thank Cork County Council for their contributions of grants in which enabled us to carry out necessary improvement to the Aubane Community Centre. During 2006 under the Urban Renewal Scheme we were able to lay new Footpaths and a Wheelchair Accessability Ramp. A special Thank you also to our Local Councillors for their continous support to the Aubane Community. 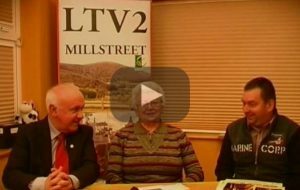 On behalf of the Aubane Social Club I would like to Thank LTV2 Millstreet for the coverage of the numerous events, which we held in the Community Centre during the Christmas Season. I would like to take this opportunity of behalf of the Aubane Social Club to thank everyone for their continuous help and support they gave us during the year 2006, and to wish everyone a very Happy New Year 2007. Millstreet Youth Club would like to thank Elaine Hooper for all her hard work given much freely and generously. 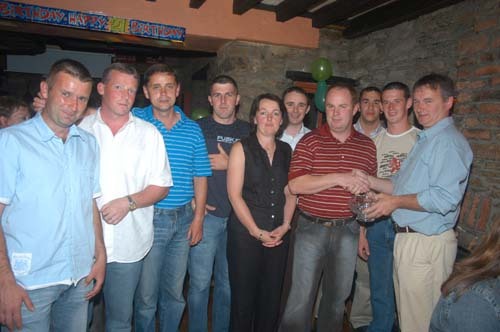 Without Elaine there will not be a youth club in Millstreet Town. Started towards the end of 2002 and meets each Friday night in the Youth Centre from 8pm – 10pm. 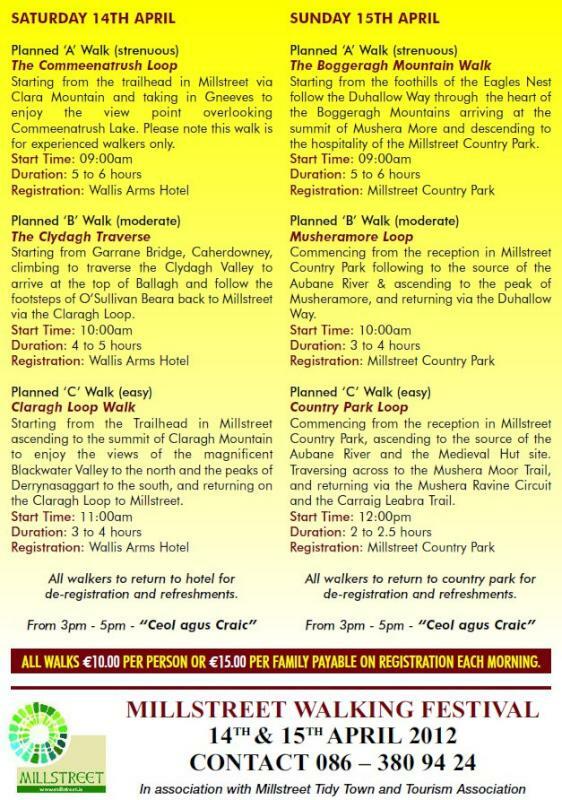 Along with another local club in Dromtariffe, Millstreet Youth Club is part of the Kerry Diocesan Youth Service (KDYS). This means we can participate in all of the youth services activities which include youth games, matches, monthly discos, Youth Forum and skills training. The yout club season runs from Sept/Oct until April and finishes with a big celebration “Youth Day” in Killarney where all the clubs come together for a day of dance, drama, drumming, bands, arts and games workshops. KDYS work with young people on the understanding that the service should aim to enable young people to gain for themselves the knowledge, attitude and skills necessary to meet their own and others developmental needs. We do this in many different ways such as having an accessible youth club and through a variety of projects. Because we believe that young people can, with the right opportunity and support, make a positive contribution to their communities, KDYS has helped develop and support many such initiatives in Millstreet often in association with others in the community such as the Community School, Canon O’Donovan Centre and Presentation Convent. The training and support given to young people involved in these projects have produced some spectacular results such as the Tir Na Nog mural in the girls national school; the Aidan Burke memorial garden in the Youth Centre; two award – winning community play schemes in 2002 and 2003, an inter-generational dance project between Canon O’Donovan Centre and girls from the Presentation Convent; a Peer mentoring project with Millstreet Community School as well as the Youth Club. There is a huge lack of resources for young people in many rural areas and we are lucky in Millstreet that someone somewhere had the vision and commitment to convert the old boy’s school into a youth centre. Over the years it has developed a community gym, an after-schools service and is well used by a variety of community groups for meetings and classes. 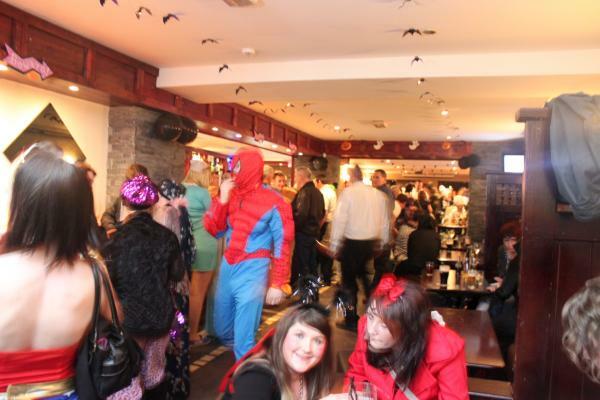 It is also available for hire for children’s parties. It is very important in youth work that all projects are supported by adults in the community and the youth club has a committee which includes both parents and student leaders and youth workers. Parents take an active role in supervision, support and fundraising for the club and this voluntary commitment is crucial to success. Youth Club members are aged between 13-15 years. All out members are boys at present. Girls are very welcome and many attempts have been made to encourage them to join but not much success so far. Older students are encouraged to become involved as youth leaders and they complete a six week KDYS Youth Empowerment Course to qualify. To date over 20 young people in Millstreet have completed this accredited course. The training offers students the opportunity to develop some important life skills in communication, group work, leadership, self esteem and assertiveness. For the past 2 years the Youth Club has participated in a Peer Education Outdoor Activity summer camp where leaders have an opportunity to put their youth work skills into practice and support the younger members in participating in all of the activities which this year included abseiling, canoeing, caving and boogie-boarding in the Burren. The student leaders we have at present are incredibly committed and have contributed enormously to the success of their club. They are John Fitzgerald, Con Dennehy, Connie Roche and David O’Sullivan. We are very pleased when this month one of them Connie Roche was an overall winner in the West Cork Garda Youth Award which he received in Balyvourney last week. A well-deserved award for Connie’s courage and commitment and a popular youth leader. Congratulations to him. Another anchor of the club is Sean Mannix who is a trained youth worker and who has been with the club since the beginning. Sean plans to spend a year working and traveling in New Zealand in February 2005 so we had plan a big send-off for him as he will be badly missed. I am doing the 2nd year of a Diploma in Non-Formal Guidance at UCC which roughly translated as a training to deliver drugs education in the community, which is interesting and I hope useful in future youth work. That is us in a nutshell!! We are really pleased to be asked to participate in Millstreet web experience and the plan is for further news and updates to be done by the young people themselves. More fun images to be added later this week, showing the various activities of the very successful youth club!! I recently completed this programme along with 10 other young people from clubs in Cork and Kerry. The training was full of experience, ideas and knowledge about many aspects of life. It was also hard work and a lot of fun! Before the course started I was a bit worried about what would be involved but once we were all introduced we talked about what we wanted to get from the course and we shared our anxieties which was reassuring. The training was held on two Saturdays in Castleisland. The first day we did exercises around communication skills, leadership skills and the role of the Youth Worker in the community. In the second week we looked at organisational skills and programme planning; conflict in groups and ways of dealing with it. At the end of each session we had time to reflect on what we had done so far. We had time to exchange ideas and get to know each other. Overall I gained a lot of new skills and ideas from this training. For instance, I became more confident in speaking out. By the end I wasn’t afraid to express my own ideas. I was able to think of new ideas and I felt empowered and encouraged to become a useful leader in my own community. I recommend this training. No-one who does it will go back empty handed! The first meeting of the Millstreet Golf Society took place in 1980 in Edie Reardon’s Bar, present were Frankie Reen, Brendan Kiely, Michael Feeley and Tom Collins. Brendan Kiely has been a member of the committee without break since its foundation and was made an honorary member of society at the AGM of November 2004. Michael Feeley was the first Captain and Frank Reen Snr was the first President. 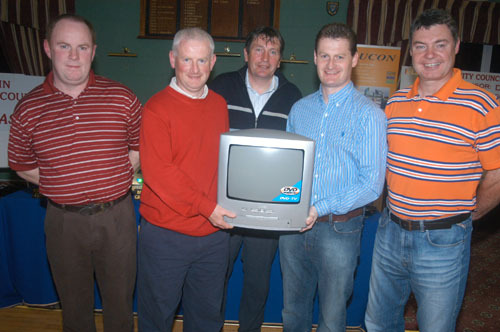 The first outing took place in Kanturk Golf Club. Presentation of prizes in the Bridge Bar @ 9:00 PM. Presentation of prizes in the Bridge Bar at 7:30. 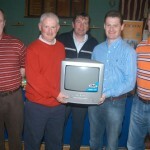 Presentation of prizes in Killarney GC. Presentation of prizes will take place in The Stand Bar in Kanturk at 6:00 PM. will be made at the presentation. Only people attending the presentation will be entered in the draw. Sponsors were thanked at the AGM for their continues sponsorship of the society and hoped they would continue their sponsorship of the society. New sponsors are always welcome, sponsorship costs €125 for the day and includes free golf on the day. V 1 Play by date. 087-2380881 Dan Murphy & Brendan O’ Keeffe 2 First name team contacts other team to fix match. V 5 In the event of a tie, play off in multiples of three holes with shots as normal. 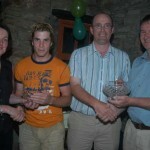 087-2663188 Eamon McCaul & John O’ Sullivan 6 Handicap – lowest player to scratch with three quarters of the difference. 7 Handicap as of first match. Eamon McCaul & John O’ Sullivan 8 Results to Murphy’s Bar or 087 6373437 by date. V 9 Committee’s decision is final.